(Sept. 19, 2014) — This weekend, Huajing Maske, executive director of the Office of China Initiatives and director of the Confucius Institute at the University of Kentucky, will receive the Amici Linguarum (Friend of Languages) Award given by the Kentucky World Language Association (KWLA). The honor recognizes an individual or organization not directly involved in teaching world languages that has made a significant contribution to the profession. Maske will be presented with the Amici Linguarum Award at the annual KWLA Awards Luncheon scheduled for Sept. 20, at the Hilton Downtown Hotel, in Lexington. 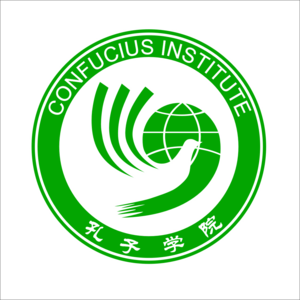 Nominated, by Jacqueline Van Houten, world language and international education consultant for Kentucky Department of Education, Maske was recognized for the work the Confucius Institute does in K-12 teaching and outreach programs as a central initiative of the institute. The association noted Maske's work building language programs of substance and a sustaining nature within schools, specifically mentioning the placement of teachers in Woodford County and the regular professional development with national and local presenters provided to those educators. The awards committee also recognized the support Maske has given these programs by organizing trips for school administrators, university leaders and community members to understand the importance of the language programs. In addition, KWLA praised Maske's work with UK College of Education creating a rural school site in Xi’an, China, where student teachers can learn culture in an authentic placement and while strengthening their language skills. The program has even created classes for mothers and babies to start interest in Chinese language skills early in communities. "Huajing Maske has raised the bar and set the standard, going above and beyond the call of duty, telling people everywhere that world language education is important and a worthy investment," said Benjamin Hawkins, KWLA awards committee chair. "In the end, people all over the Commonwealth will be the ultimate beneficiaries as they will be equipped with one more tool as they experience an ever-changing global job market, they will have a more informed, and hopefully open and positive, global outlook." KWLA is a network of individuals who support, promote and advocate the teaching and learning of a variety of world languages and cultures; a clearinghouse for data, information and research relevant to effective programs and practices in the learning and teaching of world languages and cultures; and a provider of professional development for P-16+ teachers of world languages and cultures. The KWLA Amici Linguarum Award is just the most recent honor Maske has garnered for her work with the institute. Last December, she was one of only 15 leaders of institutes to receive the 2013 Confucius Institute Individual Performance Excellence Award. The year before that, the UK Confucius Institute won one of only 25 Confucius Institute of the Year awards. Since its inauguration, the institute has positioned itself as a conduit of UK’s China initiatives, and created many successful partnerships between colleges at UK and Chinese Universities. As noted above, the UK Confucius Institute has also played a valuable role in K-12 Chinese language and cultural education.